Lovely spring to all of you Dota 2 fans! It seems that the closer we get to The Internationals, the more tournaments we get. 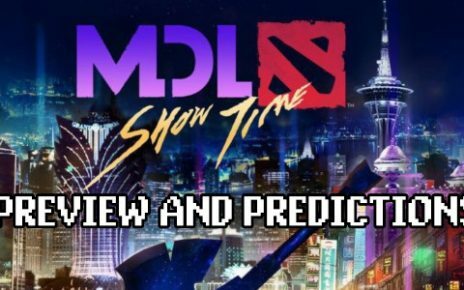 After the recently concluded MDL Changsa event in China, with PSG – LGD wrecking VGJ. Storm in an astounding 3 – 0 sweep, I happily bring you the first Dota 2 tournament that will be held in the shores of England. I present you, ESL Birmingham which will be held at the beautiful Birmingham Arena. The tournament will start on May 23rd all the way up to May 27th and I have prepared some great betting predictions for you as well. ESL Birmingham will feature a staggering prize pool of $1,000,000 and will feature 12 of the best teams around. 6 crews will be coming by way of direct invites and 6 squads will be coming by way of regional qualifiers. The six invited squads are: Virtus Pro, who missed out on the past few major tournaments such as Epicenter XL and MDL Changsa. Evil Geniuses, who is looking to get back to playing in the majors again after missing out on a few major tournaments. They will be joined by the other mainstay teams we have recently seen in such as Newbee, Mineski, Team Liquid and Vici Gaming. The 6 regional qualifier teams are: LGD Forever Young from China, Fnatic from South East Asia, OpTic Gaming from North America, Pain Gaming from South America, OG from the EU region and lastly, a Team Spirit from the CIS Region. ESL still has just announced the team that will replace Natus Vincere after Na’Vi pulled out from the tournament due to a reshuffle in their lineup, with LeBronDota leaving the team and being replaced by velhour. Also, in other news, SanSheng, the coach of Newbee will not be going with his team in the UK due to some visa issues. Now on to the fun parts, the tournament will follow the standard Group Stage format with a little twist. There will be three groups of 4 teams each. Only 6 teams will be advancing from this Group Stage where the bottom 2 squads of each group being eliminated after day 2. The squad who placed second in each group will advance to the Quarter Finals. The twist comes from the three group winners, who will be playing a Bo1 round-robin match against each other. The two squads with the best records will be seeded in the Semi-Finals while the one with the worst record gets knocked down to the Quarter Final seeds along with the other runner-ups. The playoffs will all be played in a Bo3 format with the Grand Finals in a B05 format. It will be a single elimination format when it reaches the playoffs. Another surprise here is that there will be a battle for 3rd place in this tournament which will be held just before the Grand Finals as the points structure and also the playoff format does not include upper and lower brackets. A match will be determined between the losers of the semifinal matches to determine the 3rd place winner. This is a battle from Group A. It will be an awesome matchup on paper. I would like to see how UNiVeRsE plays against his former teammates such as Suma1l and Fear from Evil Geniuses, whom he won TI 5 with. Of course, we haven’t forgotten the infamous $6,000,000 Echo Slam in the Roshan Pit done by none other but UNiVeRsE himself. Fnatic has been one of the powerhouses in the SEA region, along with Mineski and TNC, and for all we know, EG has been one of the past TI champions. This matchup is actually a close one and we all are excited on the mid-battle between Abed and Arteezy. This is also a good match to watch as both these teams have been out of the major tournaments recently and just has started to make a return. This match is from Group B and will be one of the opening fights as well. This battle looks like one of the opening matches to watch since both teams feature titans in their lineups such as s4 and N0tail for OG and Ori, eLeVeN and Paparazi for VG. I am very excited to watch which offlaner takes the lead for the team. Is it going to be s4 or eLeVeN? 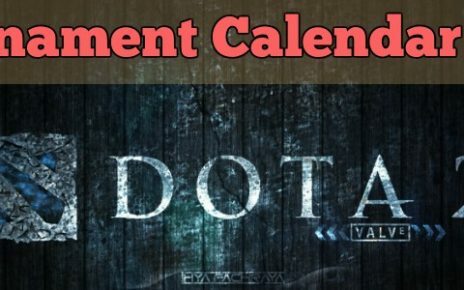 Aside from iceiceice, who will also be playing on the tournament for Mineski, s4 and eLeVeN defined the offlane role in this new age of Dota. The mid-battle between N0tail and Ori is also good to watch but I see Ori coming out ahead if N0tail does not get babysitters in the lane. If I were to choose who will advance to the Winner’s Match, I would be picking Vici Gaming to go against Liquid. OG has not been impressive lately with N0tail always getting bullied in mid without support. This is the Group C match that I am actually excited to see. It is because of one player alone. PPD, or Peter Pandam. PPD was one of the most intelligent drafters ever to have graced in the Dota 2 scene. He was instrumental in the win in The International 5 before, along with Universe from Fnatic and Fear and Sumail from Evil Geniuses. Aside from PPD playing in OpTic now, we also have Pajkatt of Natus Vincere fame and also Zai of EG fame. OpTic looks similar to a super team, just like Team Secret and OG. Well, aside from fanboying on OpTic, I think that this is a very good match to watch and would like to see OpTic gaming advance. Don’t get me wrong. Newbee is a very good squad, but with the recent outings of OpTic Gaming in the minors, even if they are a newer organization, they are comprised of a lot of Dota 2 veterans with a lot of tournament experience. Now with those opening matches, out of the way. I would like to predict which teams go to the top four. The first squad I am looking at going all the way and earning a spot in the semifinals right away is Virtus Pro. They have been very scary as of lately, and if they have not pulled out of MDL Changsa, I bet you that they would be in the top 8 of that tournament, or even easily Top 4. No[o]ne is a very scary solo mid player and Ramses is a very efficient hard carry player. With Artstyle coaching them, no wonder they have been successful in their recent tournaments. The second squad is Team Liquid. This is the later part of the year, well actually nearing The Internationals, so most likely they want to secure as much DPC points as they can to get that direct invite. 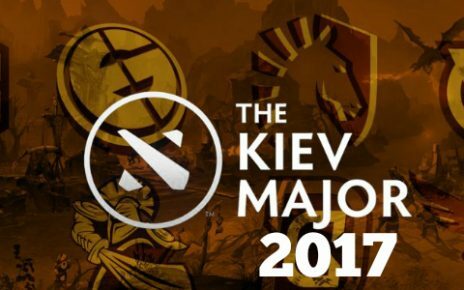 Also, KuroKy is a very intelligent drafter, much like PPD, and also he won TI 7 last year and also was in other finals matches when he was with Na’Vi. That experience translates a lot and I will not be surprised if they steamroll their group all the way to the Semis. Next squad I want to see is Evil Geniuses. I mean come on, who does not want to see EG back in their former glory? With Fear returning to the lineup, I bet you that this dream is not that far fetched. And lastly, I would like to see OpTic Gaming advance to the semifinals as well. For the reasons that I have already explained earlier, OpTic is led by a lot of veterans in the lineup and have been very successful lately in the Minors. That’s all for today. Thank you staying with us! Good luck! How to Place eSports Bets With Bitcoin?